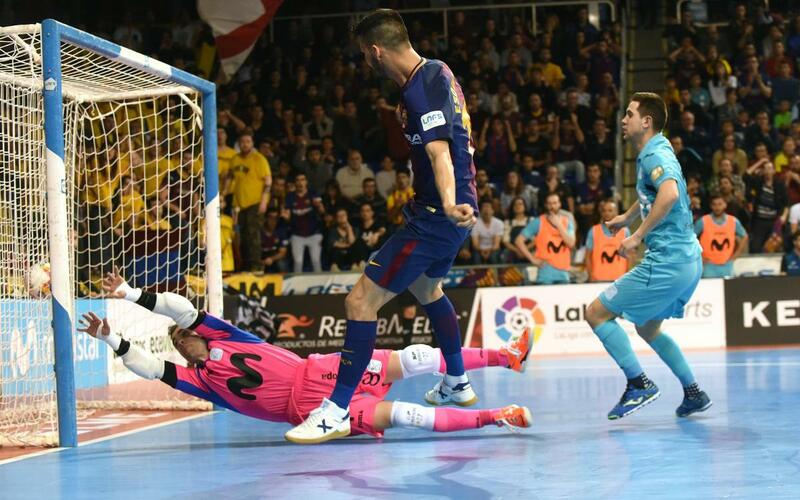 Barça Lassa have drawn 3-3 in a crunch futsal league fixture against Movistar Inter, meaning they have missed out on the opportunity to pull level with the side currently topping the table. In a madcap game, Esquerdinha scored a terrific hat-trick for Barça, while Solano, Gadeia and Pola got the goals for Inter. Barça got off to a tremendous start and the home side struggled to adapt to the pace, but although the blaugrana generally looked the better side they were unable to turn that superiority into a much-needed win. Indeed, they even found themselves trailing after 10 minutes, and although they managed to turn things around to go ahead on the half hour, Movistar scored straight from the restart and that is now things remained to the end.